LEGO Creator 31009 Small Cottage 3-in-1 house review! Another LEGO set that's not new, but still available in stores. I got help with assembly & dis-assembly and cover all three versions of the build in this video. Video: LEGO Creator 31009 Small Cottage 3-in-1 house review! As a bonus for today, check out another quick Simpsons mystery pack opening! Build a countryside getaway with the Small Cottage! This cozy creation is the perfect LEGO® brick-built vacation home with everything a minifigure needs to unwind! Put the sausage on the grill, cruise around on the skateboard or swim in the pond! Take off the roof and open the rear of the Small Cottage to explore inside! Features a lamp, drawers, swivel chair and a table. 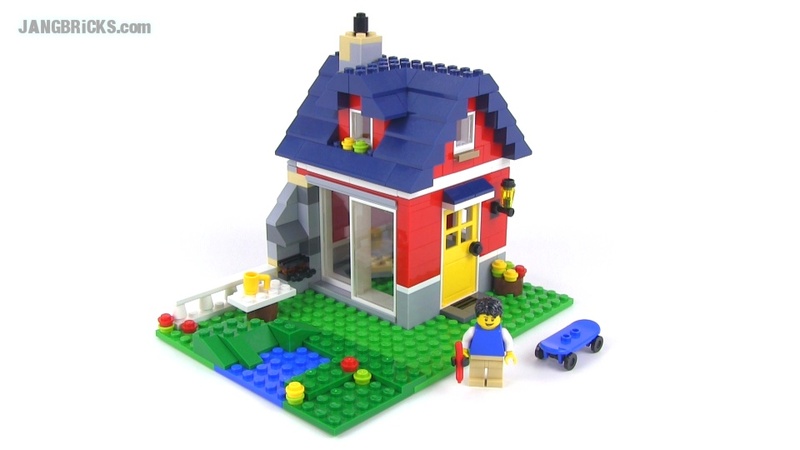 Rebuild it into an impressive windmill or skater’s house for even more cool LEGO® creation destinations! Open the skater’s house with hinged walls to play inside or grind on the rails with the skateboard! Spin the blades of the windmill and repair it with the wrench! Maintain the windmill’s spinning blades with the wrench! Grind on the rails at the skater’s house!